This project for a new central lecture and seminar facility aims to transform a degraded area of the campus into an integrated sequence of built form and open space. Courtyard, forecourt and garden are created through the careful placement of seemingly autonomous architectural forms.  The project comprises two essential architectural elements: the ground plane or podium, and the raised metal volume. The form, detail and materials elaborate and explore the different nature of these two elements. 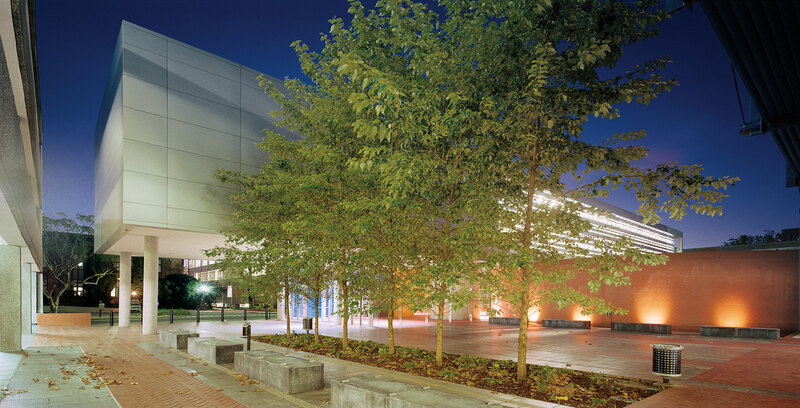 Between the platform and raised volume is a sequence of public spaces: foyer, courtyards and gardens that are defined and interconnected through pure geometric forms placed on the podium, triangular stair, cylindrical lift shaft, pyramidal skylight and circular auditorium. 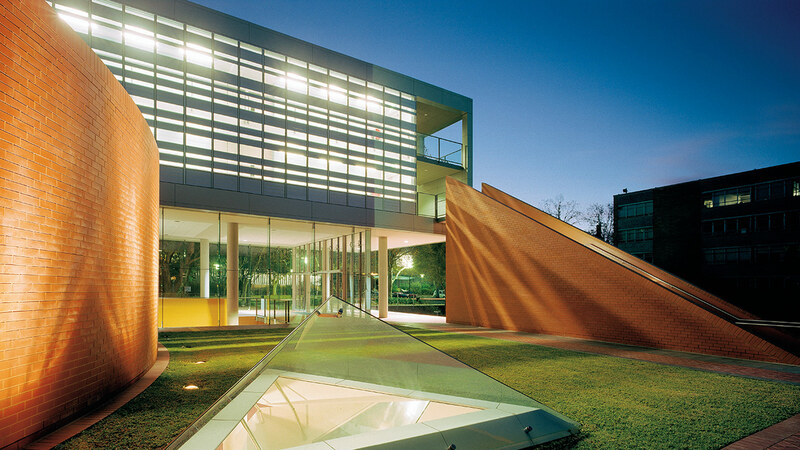 The sculptural form of the triangular stair, the broad steps of the platform addressing a lawn, and the opening and balcony within the raised metal volume are intended as a stage and set elements for the theatre and ceremony of campus life. 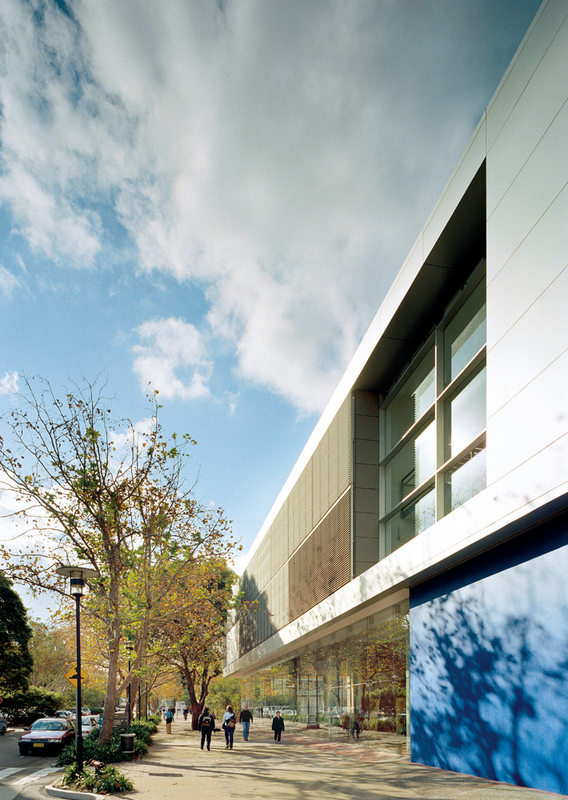 The lower level connects directly into the teaching facilities of the existing Carslaw Building while the top of the podium establishes a level platform aligning with Eastern Avenue—a central 'street' of the campus. 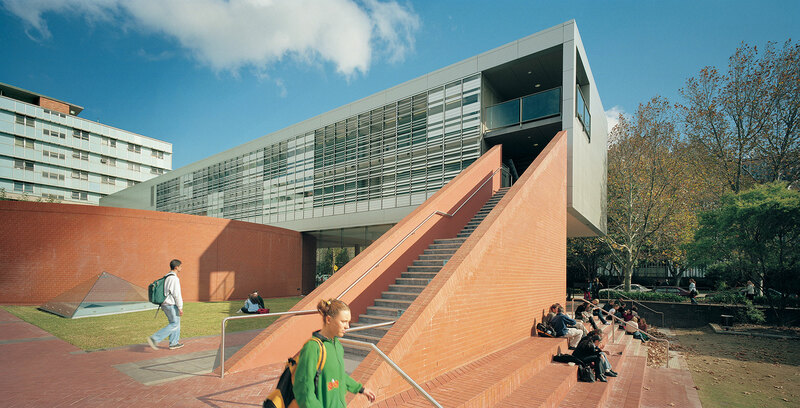 The metal rectangular volume is raised on a grid of columns above the brick podium and set parallel to Eastern Avenue to strengthen and reinforce the definition of this important campus street. 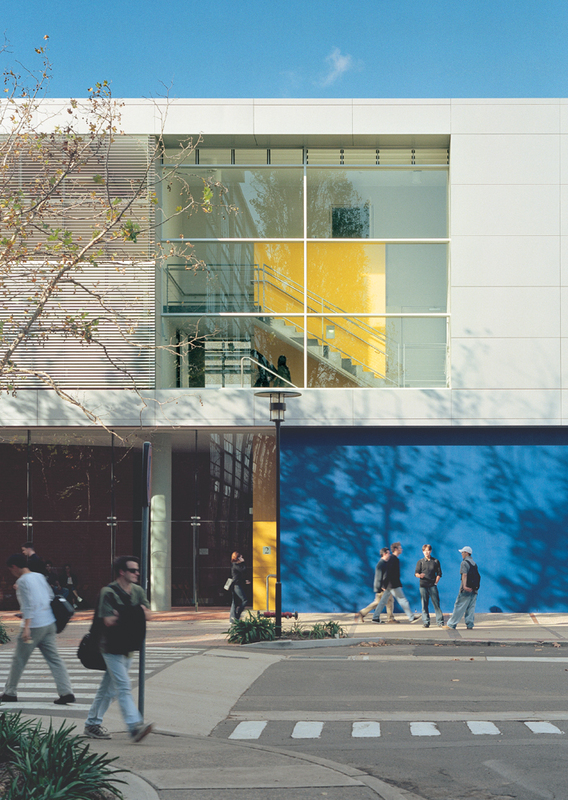 The sequence of circulation has been developed to relate the occupant moving through the building to significant campus vistas and landscape. The 'window' or 'eye' of the central stair is positioned to align with the western passage to the ovals, while the end stair orientates over Victoria Park toward the city.